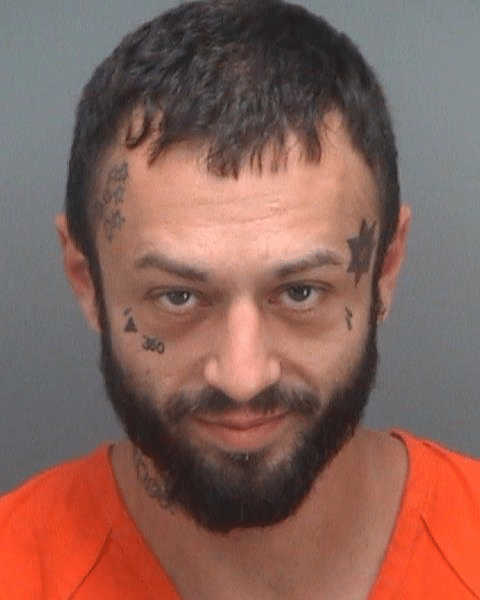 Detectives from the Pinellas County Sheriff’s Office, assigned to the Robbery/Homicide Unit, have charged 32 year-old Nathaniel Yates with first degree murder after he threatened one man with a handgun and shot and killed a woman at a residence in Unincorporated Largo. Deputies were called to a residence located at 13424 West Rena Drive in Unincorporated Largo at about 11:14 p.m. on Thursday, August, 16, 2018 for reports of an injured person. 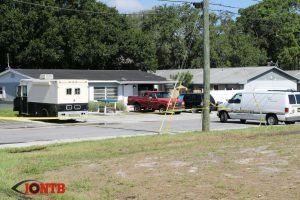 When deputies arrived, they found 28-year-old Christine Giles of Seminole unresponsive in a travel trailer that was parked outside the home. Deputies pronounced Giles deceased at about 11:22 p.m. from multiple gunshot wounds. Through the course of the investigation, detectives located multiple witnesses who fled prior to deputies arriving on scene. Witnesses helped identify the suspect, 32-year-old Nathaniel Yates, of Largo. Detectives say Yates was in the travel trailer with Giles and 61-year-old Wesley Warn, when Yates became agitated and threatened Warn with a .380 caliber handgun. Yates turned the gun on Giles, shot her once and fled the scene. According to detectives, Yates returned to the scene a short time later and shot Giles again, multiple times. Witnesses told detectives Giles and Yates were dating for several months before Yates threatened Giles with violence and Giles called off the relationship. Detectives believe Giles and Yates were dating again at the time of the shooting. As detectives were searching for Yates, they learned that Yates had been arrested for an unrelated incident less than six hours after the shooting. Officers from the Largo Police Department had arrested Yates at about 4:30 a.m. on Friday, August 17, 2018. Yates was observed inside a trucked parked at a job site in the 3600 block of East Bay Drive. He reportedly lied and told Largo Police Officers that he owned the truck. Officers say he was under the influence of an unknown controlled substance at the time of the arrest. Following transport to the Pinellas County Jail, he was transferred to Largo Medical Center for an elevated heart rate and after admitting to consuming 2 grams of “Molly”. In the emergency department, he kicked an emergency room nurse in the face with his foot. The nurse struck their head against a wall resulting in a minor laceration and bruised lips. Yates also kicked LPD Officer Ward in the chest with his left leg. Officers regained control of Yates after utilizing a electronic control device. He is facing charges of Burglary, Simple Battery, Resisting Arrest without Violence, Battery on a Law Enforcement Officer and Battery on Health Service Personnel. At about 2:00 p.m. on Saturday, August 18, 2018, detectives charged Yates with one count of First Degree Murder and one count of Aggravated Assault. Yates remains in custody at a local hospital. Yates has an extensive arrest history and served approximately 18 months in a Florida prison in 2012. The Pinellas County Sheriff’s Office continues their investigation at this hour in the 13400 block of Rena Drive in Unincorporated Largo after a woman was found deceased. Deputies responded to the area shortly after 11 p.m. on Thursday, August 16, 2018. No further information is available at this time as the on-scene investigation is still ongoing.